There are vacancies for the following posts. 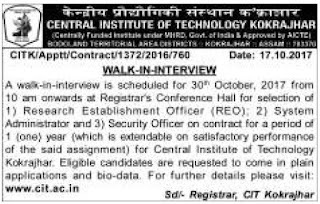 1) Research Establishment Officer (REO). 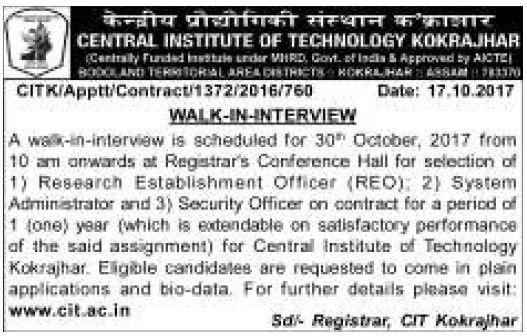 If you are interested to apply for the vacancies under Central institute of Technology Kokrajhar for the above mentioned posts, get ready today. Eligible candidates are requested to come in plain applications and bio-data. This is a walk-in-interview. So, you need not to apply before the interview date. just come on the interview date and attend the personal interview in the institute campus.